Having a hard time starting your essay plan? We got you covered. The secret to writing a comprehensive and coherent essay is by coming up with a well-structured essay plan. An essay plan allows you to build your essay one idea at a time. Essay plan templates and outline templates showcase what are some of creative and appropriate sections in your essay. That is why our essay plan templates will fuel both your creative and intellectual appetite. They will help you write an essay with utmost coherence and substance. 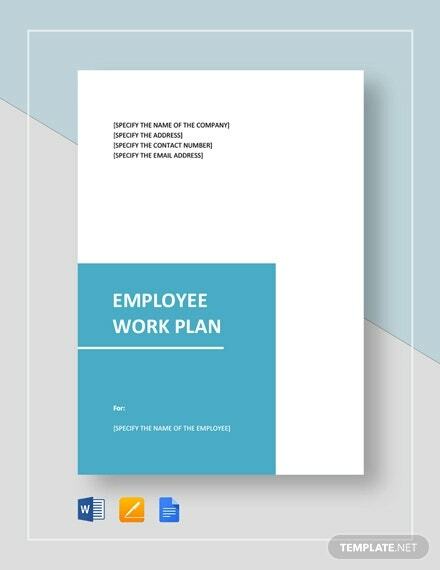 Feel free to read and checkout the set of templates.You may also see Plan Templates. What Essay Plan Templates Are in Store for You? Planning is not just crucial in terms of writing simple business plan template and personal development plan templates. 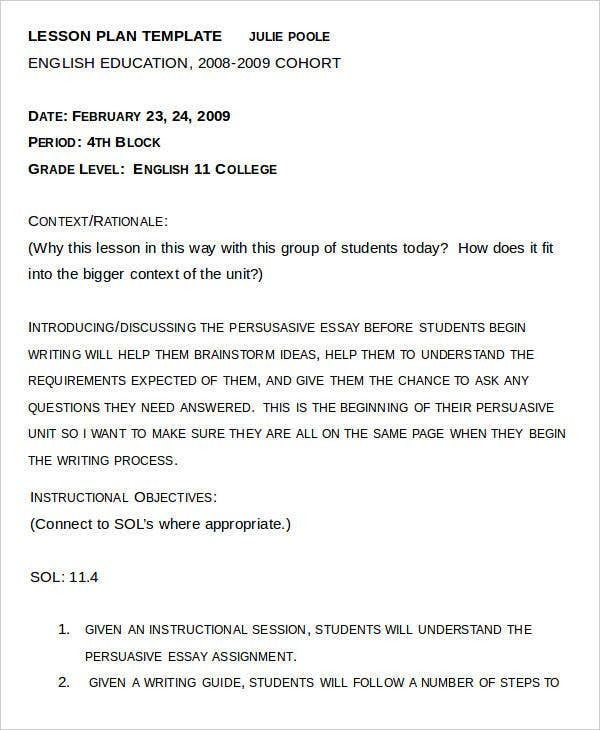 Essays are also good subject matters in applying the right planning techniques. 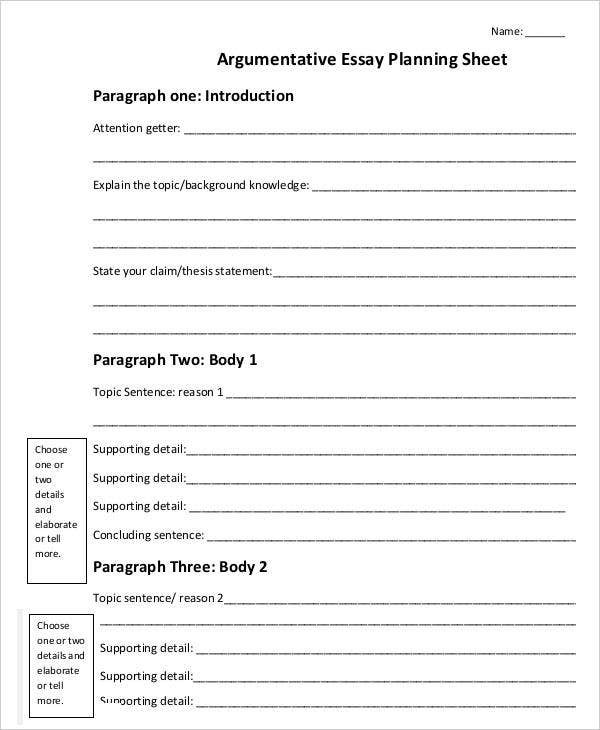 Argumentative Essay Planning Sheet Template – In writing an argumentative essay, the challenge lies on how you structure the flow of your arguments. Bear in mind that you can’t just merely enumerate your arguments but to lay them out in a logical and systematic manner. 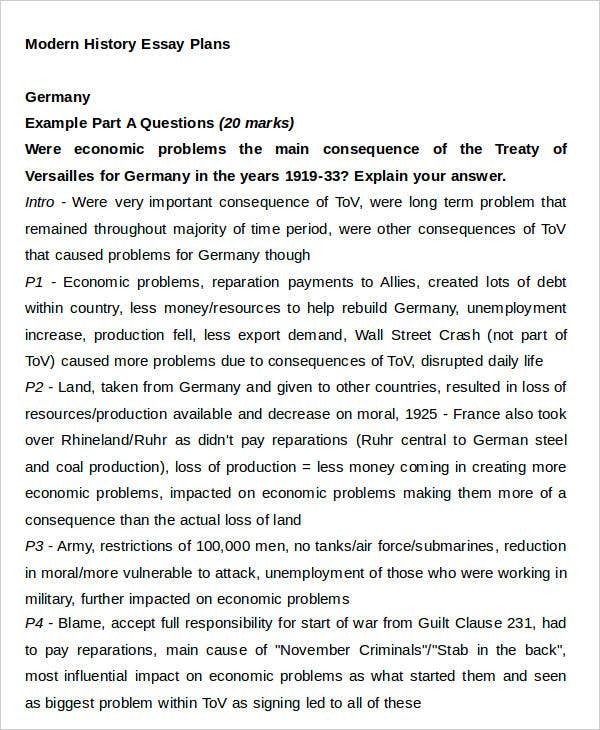 By using these template, you can breakdown your arguments into sections with their supporting details. 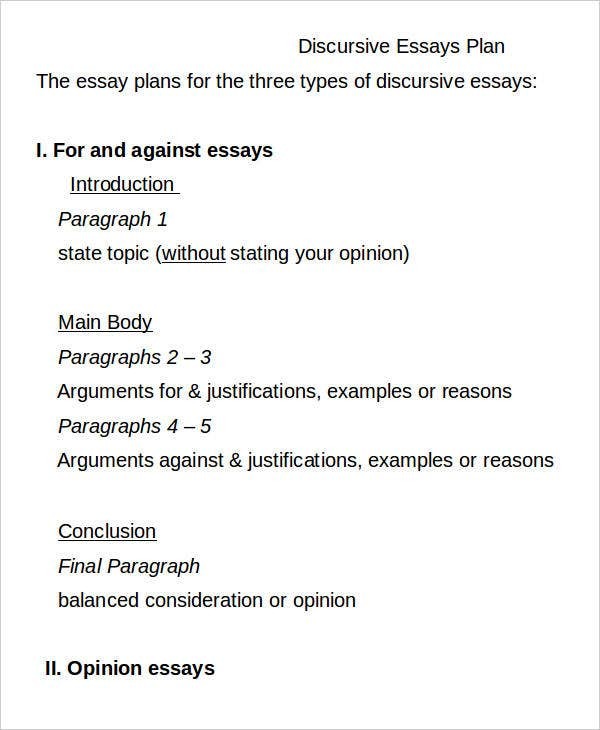 Discursive Essay Plan Template – This template provides you with suggestions and outline on how to write an essay plan for three different types of discursive essays namely the for and against essays, opinion essays, and essays suggesting solutions to problems. The respective plan templates provide you with writing tips in terms of structure and content. 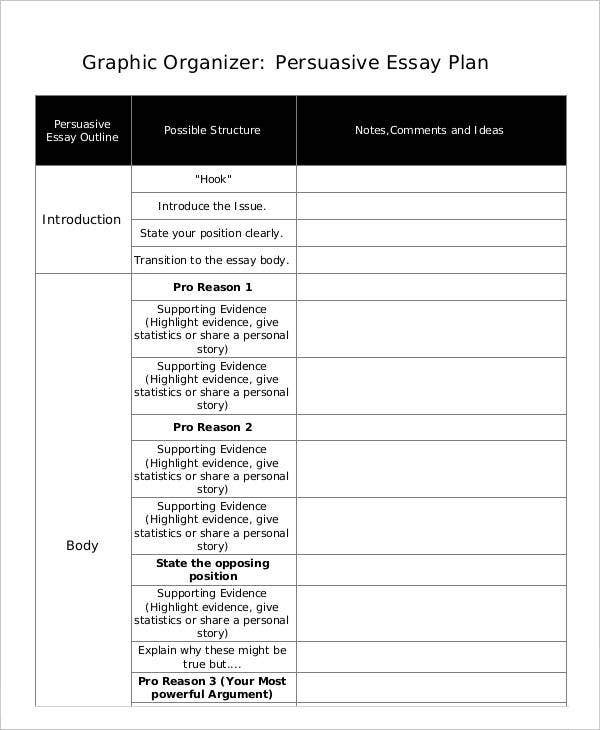 Persuasive Plan Template – Persuasive essays can be tricky. Your essay must be convincing enough to persuade your readers to take your side. You need to effectively introduce the issue, clearly state your position, and write your supporting evidences. 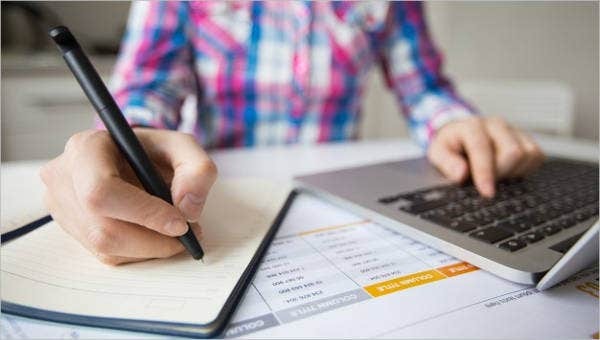 How to Effectively Map Out Your Essay Plan? 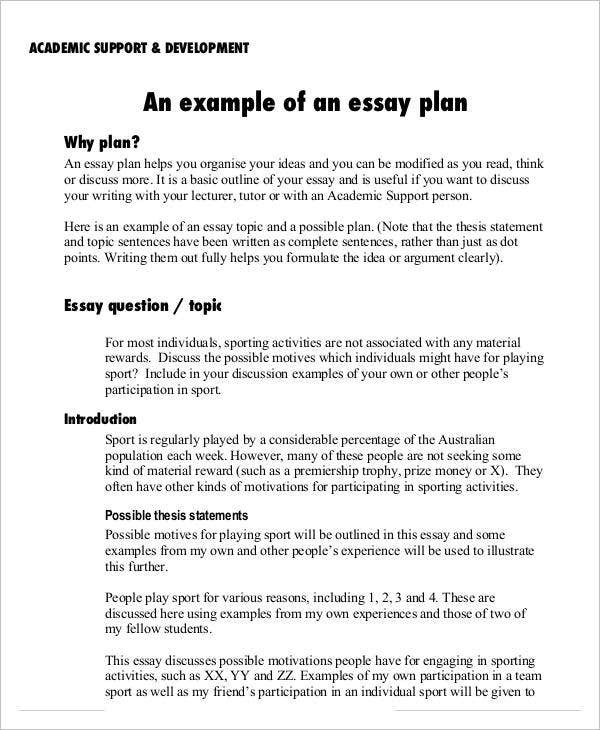 Essay plan templates can help you effectively map out your essay plan. In structuring your essay you need to consider your target readers’ preferences, the nature of the topic you’re assigned or planning to write, the type of essay it requires, and the your sources. Here are some tips for you to consider. Come up with a comprehensive and engaging thesis statement. You thesis statement presents the why’s and importance of your essay. It will be the heart of your essay. Your thesis statement will project the scope and limits of your the write-up. As per content, thesis statements are not necessarily long. 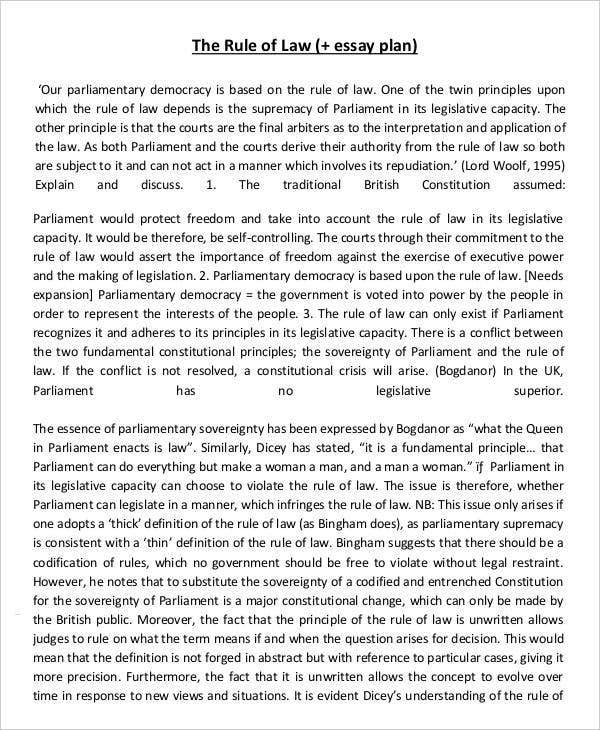 As much as possible be concise and succinct. Provide topic sentences for each paragraph. This is done so as to guide the flow of your sentences. The topic sentence will is either your idea or argument. After that, substantiate your claims by providing your evidences. Make a sound conclusion. You also need to plan the structure of your conclusion. You should plan how you’ll manage to reiterate the important points and adding a strong closing sentences or notes to your reader’s in a creative and professional way. 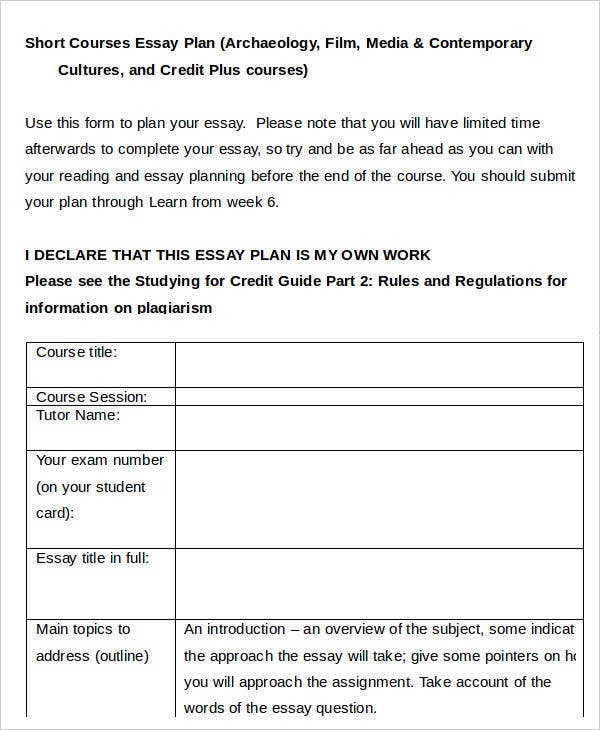 Like writing a strategic plan template, essay plan also provides key writing strategies and methods.